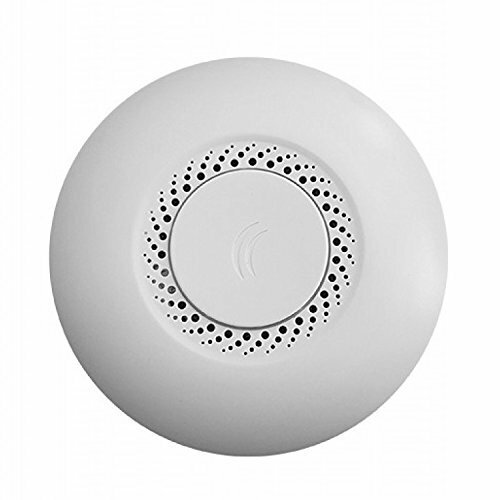 RouterBOARD cAP-2nD (ceiling Access Point) is Mikrotik first 2.4GHz Dual-Chain ceiling AP. Inconspicuously designed, it blends into the environment, perfect for hospitality business like hotels, airports, shopping malls etc. cAP-2nD supports 802.11b/g/n and can be powered by PoE. It's a perfect companion for the MikroTik CAPsMAN (controlled AP system manager), allowing you to control all your AP devices from one central location. Unlike traditional controller software, which requires a separate PC/Mac to run, our CAPsMAN runs on any existing RouterBOARD device in your network. No need for a separate controller machine. Everything is included to get you started, wall/ceiling mount, PoE injector, power adapter and even the screws and screw anchors.